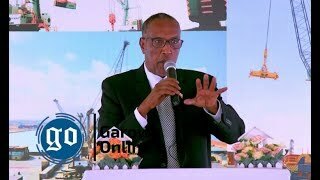 MOGADISHU, Somalia- In a meeting held in the Somali capital of Mogadishu, native Somaliland politicians and traditional elders have decided to boycott the ongoing Somalia’s electoral process, Garowe Online reports. Existing and emerging Federal states were expected to announce the Upper House candidates before October 10, an extended deadline by Somalia’s electoral body. In a major blow to the electoral process, clan elders and Somali government officials–term ended in September 10- including Deputy Prime Minister and Federal parliamentarians have denounced seats quota of both Federal Parliament Houses for Somaliland region, describing it “unfair” and undermine efforts aimed to unite the country. 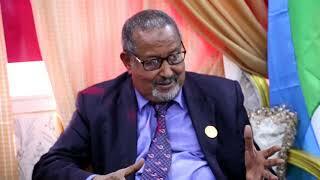 Federal MP, Ibrahim Saleban, told the press that they will not participate in the upcoming parliamentary elections for the reasons that seats allocated for Somaliland doesn’t match its status and difference over quota composition. Federal Indirect Electoral Implementation team (FIEIT) has urged National Leadership Forum to swiftly intervene to ease the crisis and avoid further setbacks to the electoral process. 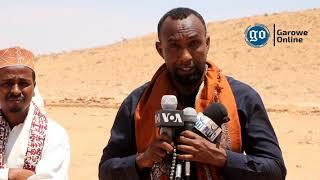 in a press conference held in the capital Mogadishu, FIEIT Chairman, Omar Mohamed Dhagay, said that a special consideration should be taken for Somaliland clans. On the other hand, Federal MP and Somaliland native, Fawziya Haji Adan, in an interview with VOA, said that she will boycott the parliamentary elections. Adan is a former Federal Foreign Minister and a close ally to caretaker President Hasan Shaikh Mahmoud. 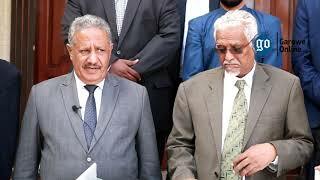 Close sources tell GO that plans to orchestrate setbacks to the electoral process have been set by Somali Federal leaders to further delay elections and extend office’s term to leverage their presidential campaigns. The lingering process to form the Upper House chamber could undermine the electoral process and plunge the country into political crisis. 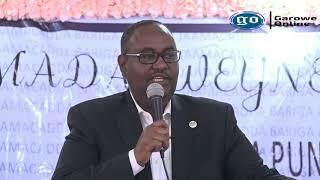 Garowe, Puntland- As Somalia is preparing for parliamentary and presidential elections due to conclude in less than six weeks, reports emerge that MPs selection process might be rigged, Garowe Online reports.